Click on the speech bubble icon on the top left of the page. The messaging page should display all received messages along the left hand side. Unread messages are marked with a blue circle beside the name of the sender. The selected message in this list should appear dark teal coloured and the conversation for that VID/PID will appear on the right hand side panel. Click the pad-and-pen "new message" icon next to the message search bar. Fill in the message title and body. Add recipients by clicking in the "Recipients" text box and type the name of an ARIA user to add them to the conversation. Add any required attachments by clicking the "Choose Files" field. Search for the message that you wish to reply to using the left hand search box. 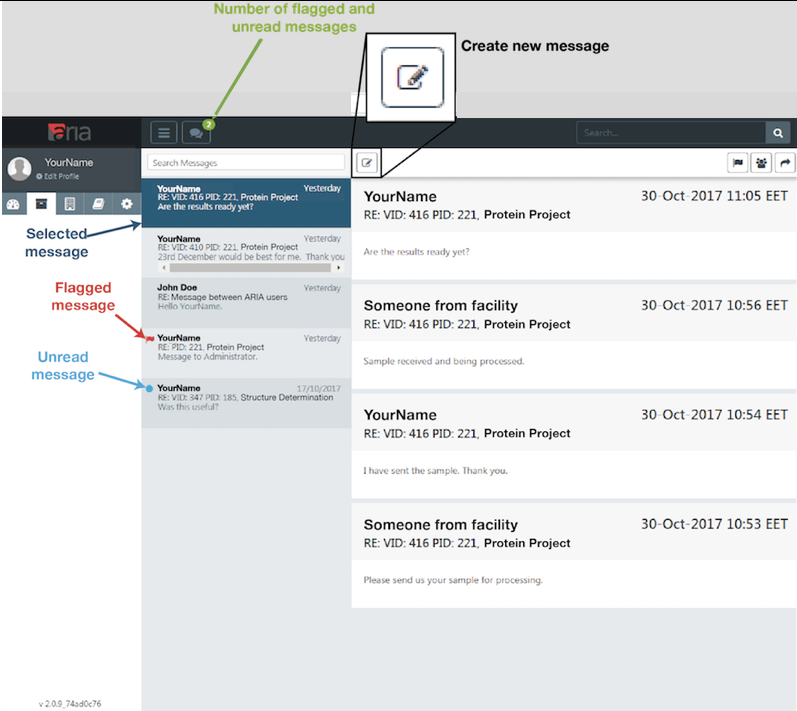 Select the message that you wish to reply to on the left hand pane of the messaging page. The selected message should appear dark teal. To reply to a selected conversation click the arrow "reply" icon at the right hand side of the page above the conversation pane. Locate the message that you wish to view participants for and click to select it on the left hand pane of the messaging page. The selected message should appear dark teal. Click on the people "Message participants" icon on the right hand side of the page, above the selected conversation. A box should appear with a table of participants in the conversation. For message participants who should remain anonymous to the user (e.g. moderators/administrators) a role may appear instead of the name of the individual. You can turn on/off your own notifications for this individual message by checking or unchecking the checkbox in the notifications column under your name. 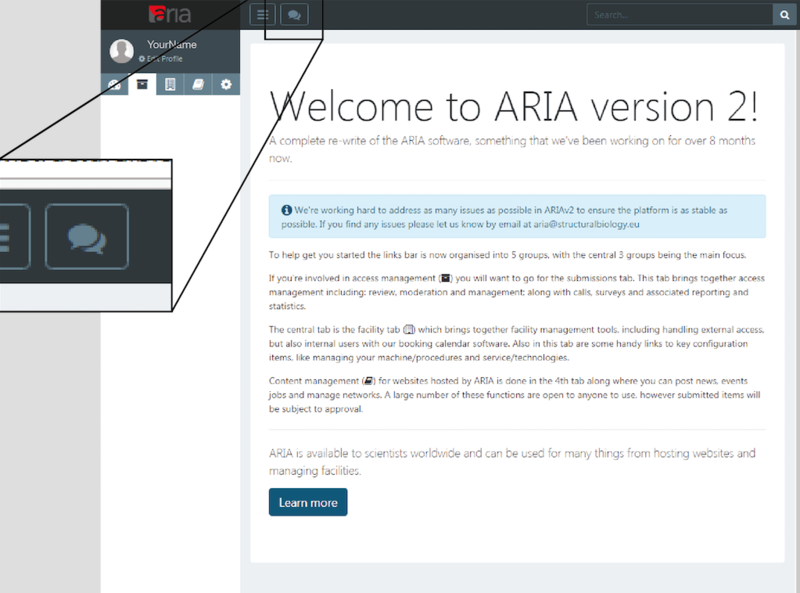 You can add other ARIA users to the conversation by typing their name in the text box below the table and clicking "Add User". Please note that some users may not have the permission to add users to existing conversations.